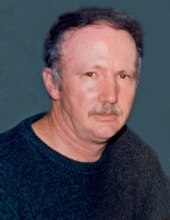 Danny Charles Goss, 75, a resident of Parsons, passed from this life Monday, January 28, 2019, at Davis Medical Center. Danny was born Friday, January 14, 1944, in Pierce, a son of the late Donald Carl Goss and Hilda Elizabeth Gauer. On September 15, 1985, in Loch Lynn Heights, MD, he was married to the former Linda Lucille Nestor, who survives. They had celebrated thirty-three years of marriage. Left to cherish Danny’s memory is one daughter, Beth McCleery and husband, Mark, of Chesapeake, VA, one son, Danny Allan Goss of Parsons, two grandchildren, Jacob Daniel McCleery and Matthew Richard McCleery, two sisters, Donna Carr and Jeanne Bonner and husband, Garry of Parsons, and several nieces and nephews. Besides his parents, Danny was preceded in death by one brother-in-law Ernest “Sonny” Carr. Danny was a graduate of Parsons High School and had worked as a self-employed general contractor. He had also worked for Colonial Millworks in Beverly. He was an avid and skilled woodworker and he also enjoyed target shooting with his guns. He was a member of the First Baptist Church of Parsons. A visitation will be held at the First Baptist Church in Parsons on Thursday, January 31, 2019 from 1pm until 2pm, the funeral hour. Rev Greg Smith will officiate and Danny’s request for cremation will then be honored. To send flowers or a remembrance gift to the family of Danny Charles Goss, please visit our Tribute Store. "Email Address" would like to share the life celebration of Danny Charles Goss. Click on the "link" to go to share a favorite memory or leave a condolence message for the family.